MONROVIA, Sep 11 2014 (IPS) - As the Ebola crisis continues to take a toll on people’s lives and livelihoods in West Africa, the focus is increasingly not just on the health aspects of the crisis, but also on its social and economic consequences. Sure, the human and medical aspects of the crisis are still on the front burner, as they should be. Losing a spouse, a child or another close relative is devastating. The health sector is under tremendous pressure to cope with the sick, and even to protect its own workers from contagion. Fear and isolation can in the end take more lives than the Ebola virus itself if businesses are not operating, livelihoods disappear and public services are not delivered. Vaccination coverage, for instance, had already declined by 50 percent by July. Women in labour struggle to obtain skilled maternity care — in some cases they are turned away from the few institutions still in operation. Before the current crisis, Liberia’s economy experienced impressive growth rates of up to 8.7 per cent (2013). GDP growth was already projected to decline to 5.9 per cent this year, as mining production levelled off temporarily, coupled with the fall in international prices for rubber and iron ore, before rising to 6.8 per cent in 2015 and 7.2 per cent in 2016. Future growth figures will now have to be revised, as economic activities have slowed down dramatically in most sectors. But there is also an underlying issue at hand: The impressive recent growth in Liberia has not been equitable or inclusive. About 57 per cent of the country’s approximately four million inhabitants live below the poverty line and 48 per cent live in conditions of extreme poverty. The lack of equitable, inclusive development means that more than half of the country’s population—especially women and children–is particularly vulnerable to shocks and crises, ultimately making the whole country less robust and less able to handle a crisis of any magnitude. Reduced tax revenues go hand in hand with a decrease in the government’s ability to respond to the crisis. A decline in revenues is expected as Ebola continues to claim the lives of Liberians and the government continues to enforce travel restrictions as part of the state of emergency. 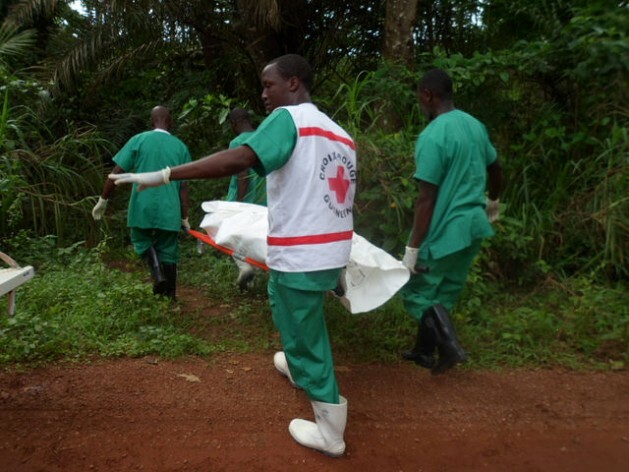 In the remote parts of the country, far from the hustle and bustle of its capital, Monrovia, it is also necessary to strengthen local authorities’ ability to handle the crisis, for instance by improving monitoring mechanisms and making protection equipment available for those who are in direct contact with Ebola patients and corpses.